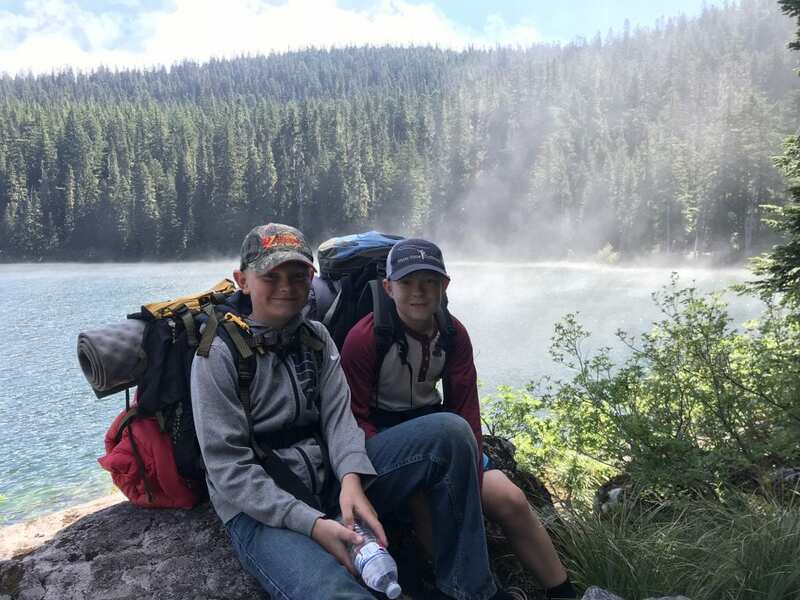 Hiking into Mt Hood Lakes is fun for the whole family. Just minutes from Portland, OR in the timbered slopes of Mt. Hood is an area teeming with fishing opportunities. For the fly angler the Mt. Hood National Forest provides many great opportunities for rainbow trout, browns, cutthroat and brook trout. Some lakes are an easy drive while others require a backpack and some good boots. This vast national forest harbors angling opportunities with amazing scenery and surprisingly close to large metro areas. 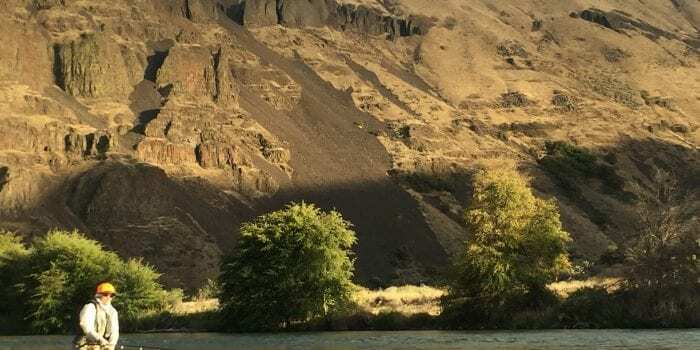 With-in just an hour from Portland anglers can be close to great fly fishing destinations like: Harriet Lake, Shellrock Lake, Timothy Lake, Frog Lake and many more. Populations of both wild and stocked trout exist in these lakes. Good insect hatches can be found throughout the summer months where anglers can expect to find callibaetis mayflies, caddis flies, and chronomids hatching in good numbers. Some lakes like Timothy host excellent hatches of the giant mayfly- the Hexagena providing excellent fishing at dusk some nights. Other food sources in these lakes are water boatman and terrestrials like ants and bees while some lakes have incredible populations of crayfish. 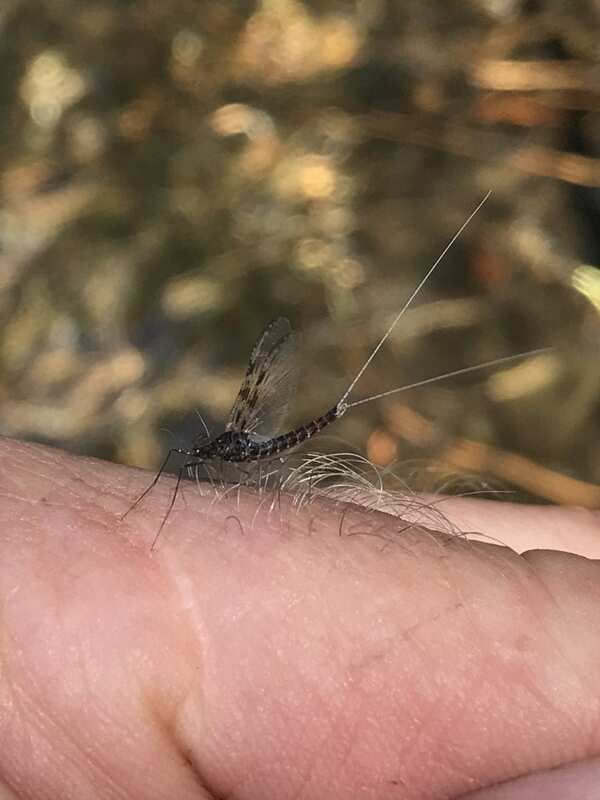 Callabaetis mayfly hatches can be thick in Oregon high lakes. Look for lakes that have good depth and multiple species to find best fishing. Often these are lakes that have naturally producing populations of wild fish and are deep enough they don’t freeze solid. Use this resource for lakes of the Mt Hood National forest which gives the lake, elevation, depth and species of fish found in the lake. For other excellent fishing information and must know tips get a copy of Gary Lewis’ book Fishing Mt Hood Country. In spring time keep a sharp eye on the lake elevation as snow pack can be an issue and be sure to bring some bug spray while visiting one of Oregon’s best treasures! 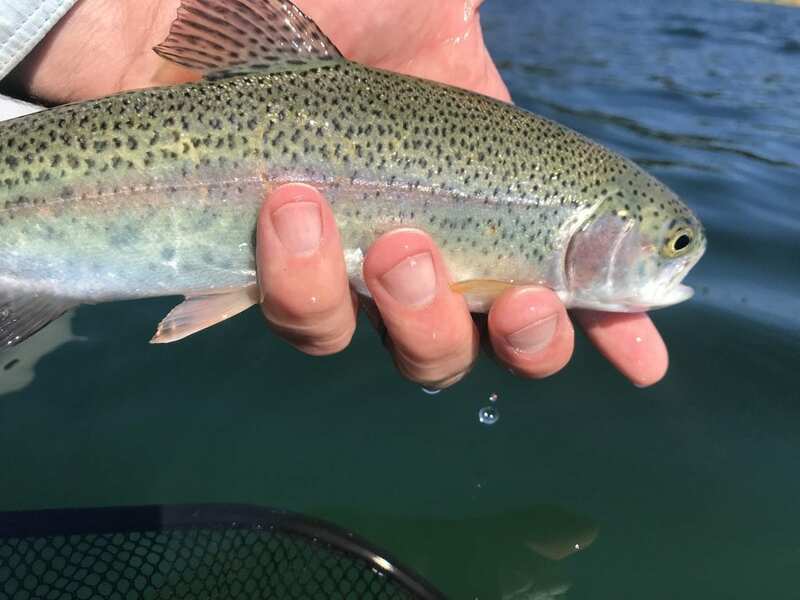 Releasing a rainbow on an Oregon high lake. For great fishing adventures in some of Oregon’s most beautiful country check out the lakes of the Mt. Hood National Forest and surrounding wilderness areas. Finding brook, rainbow and brown trout at the end of the line after a good hike is a memorable experience! Good luck on the water from Rob Crandall at Water Time Outfitters, Inc. 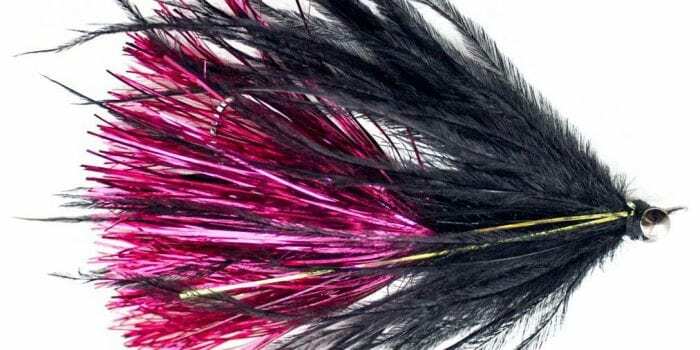 Previous article	Get Started Fly Fishing- Three Tips to get you Going!